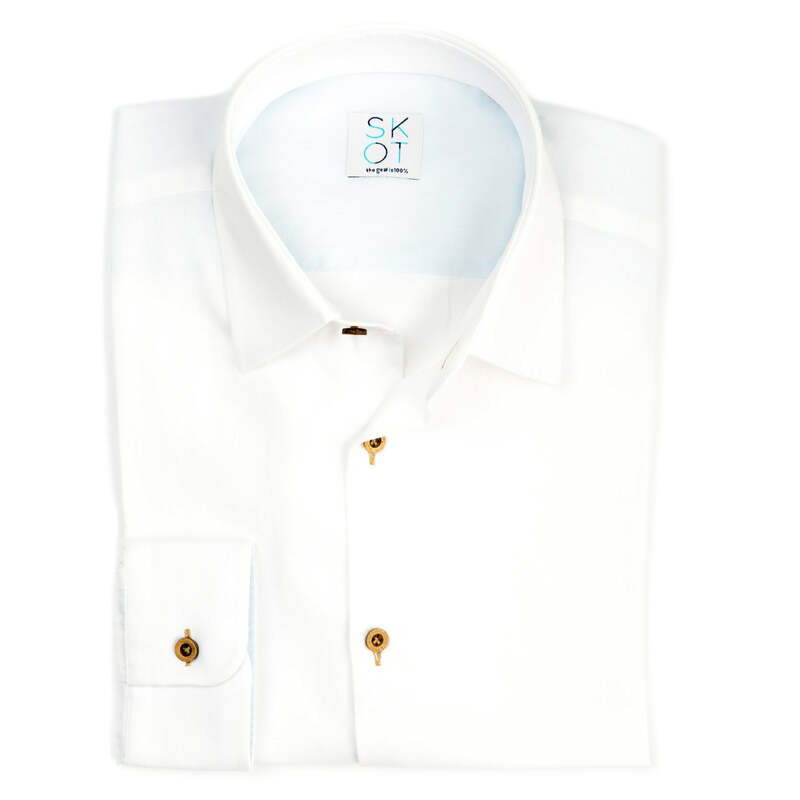 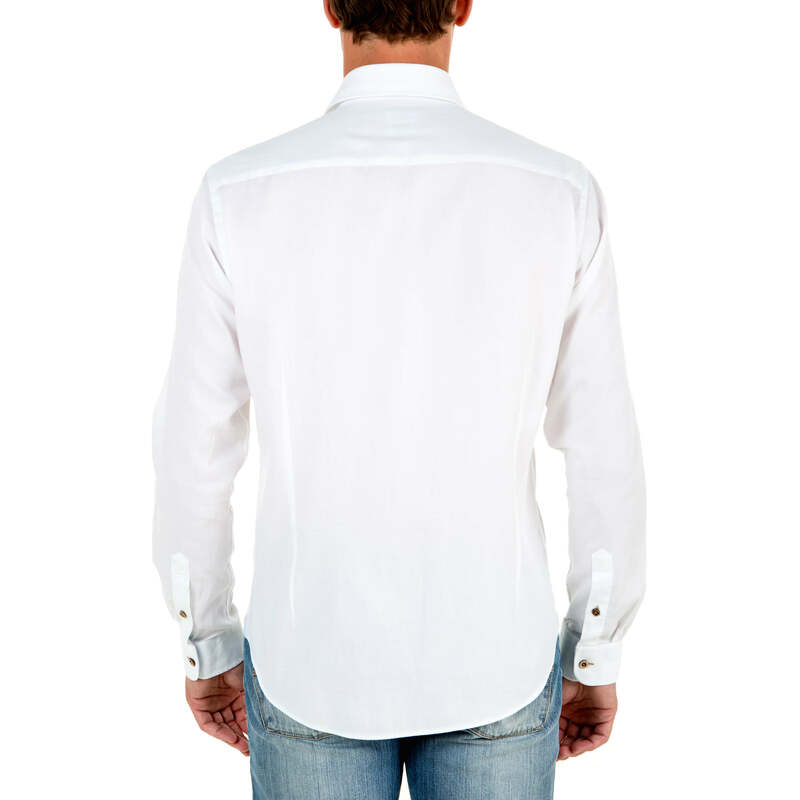 The white shirt from the Fun collection. 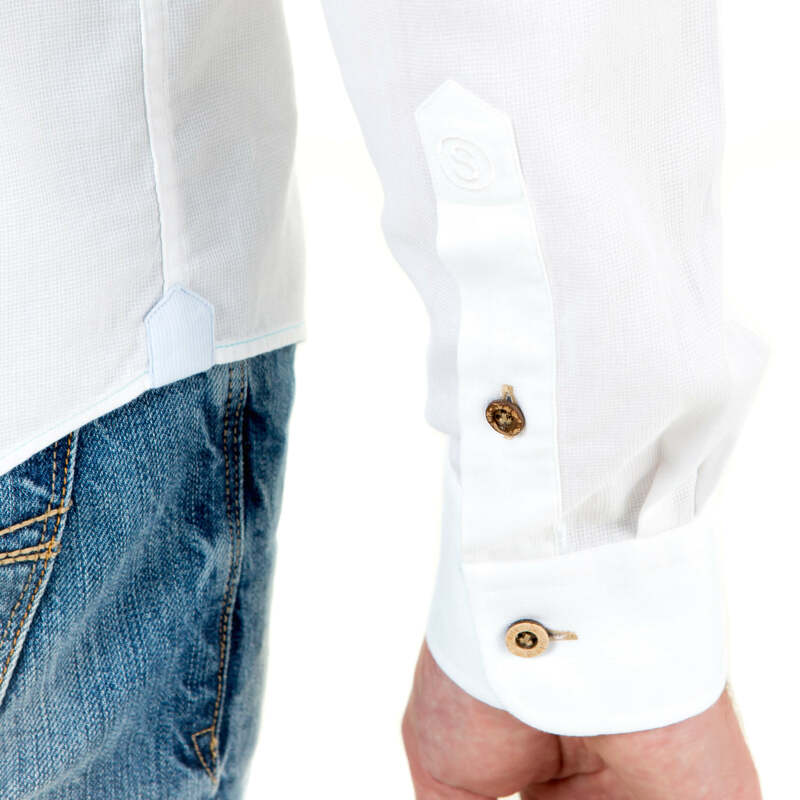 With recycled coconut buttons. 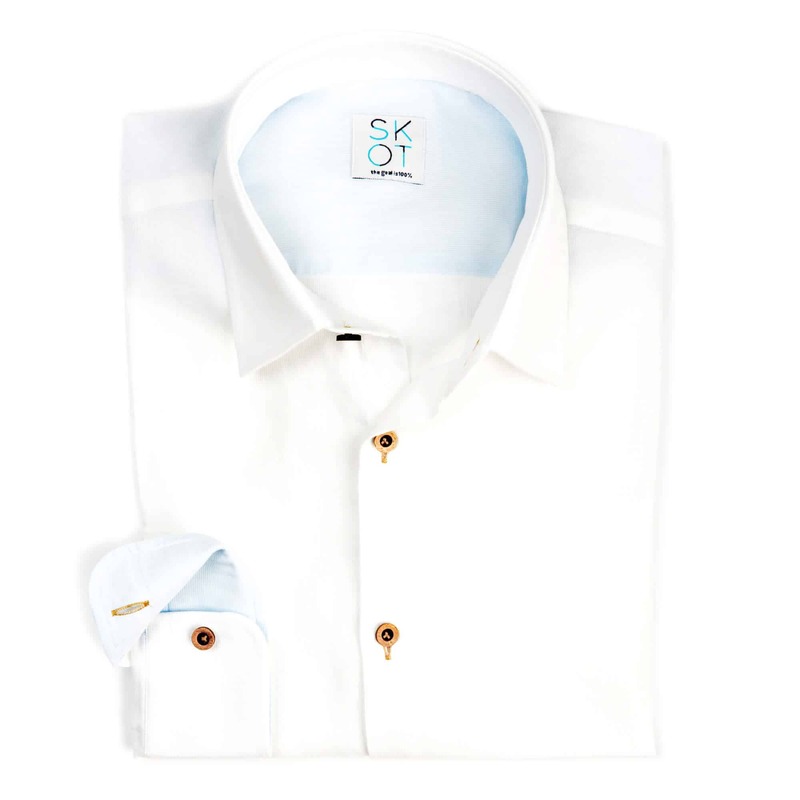 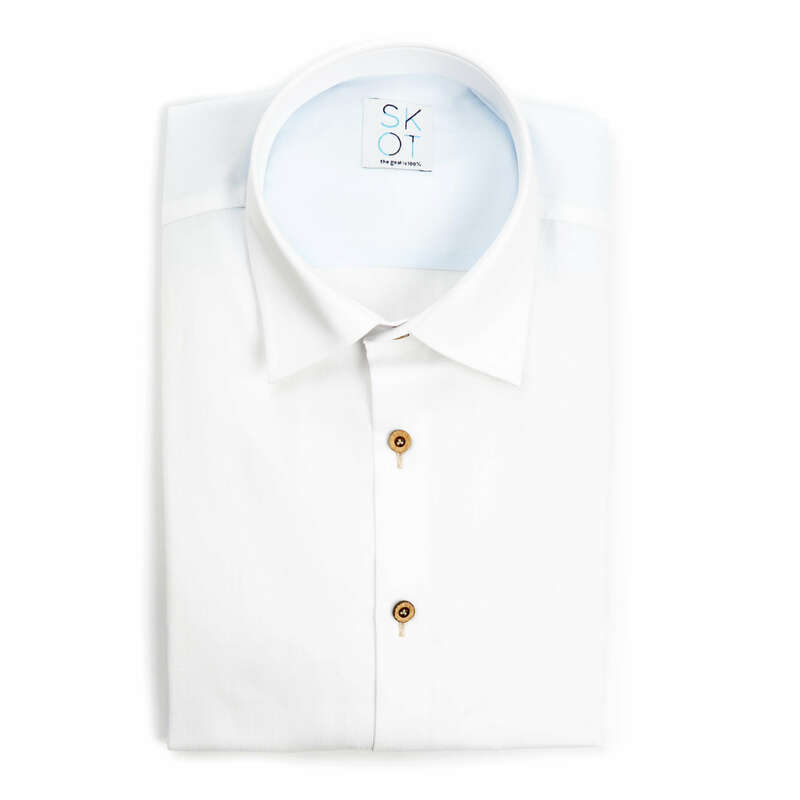 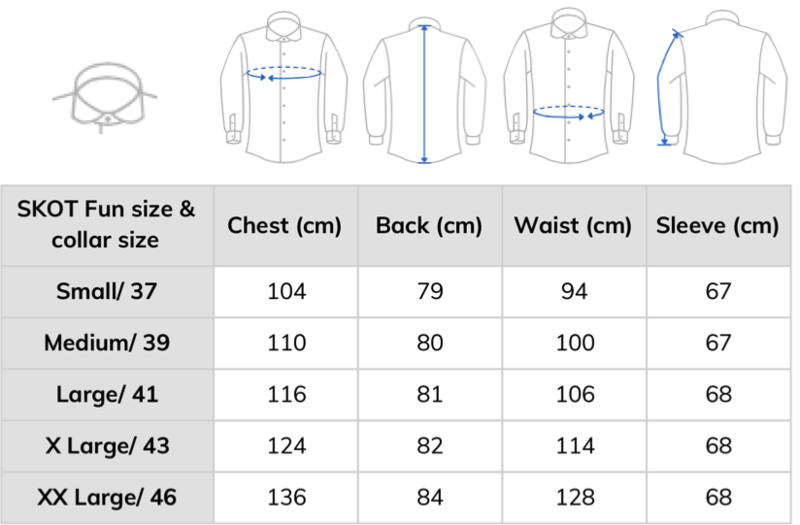 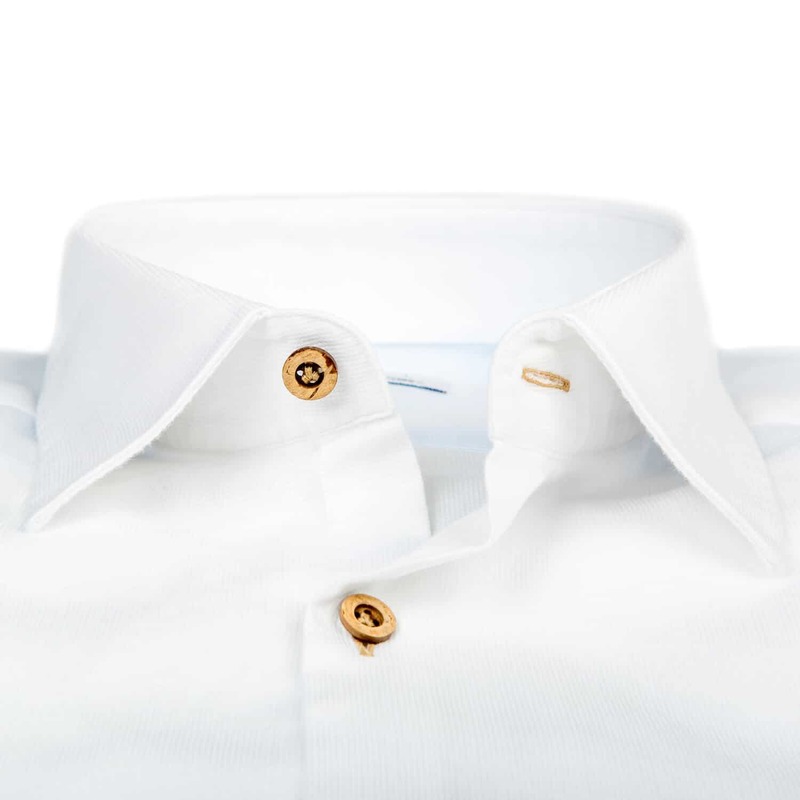 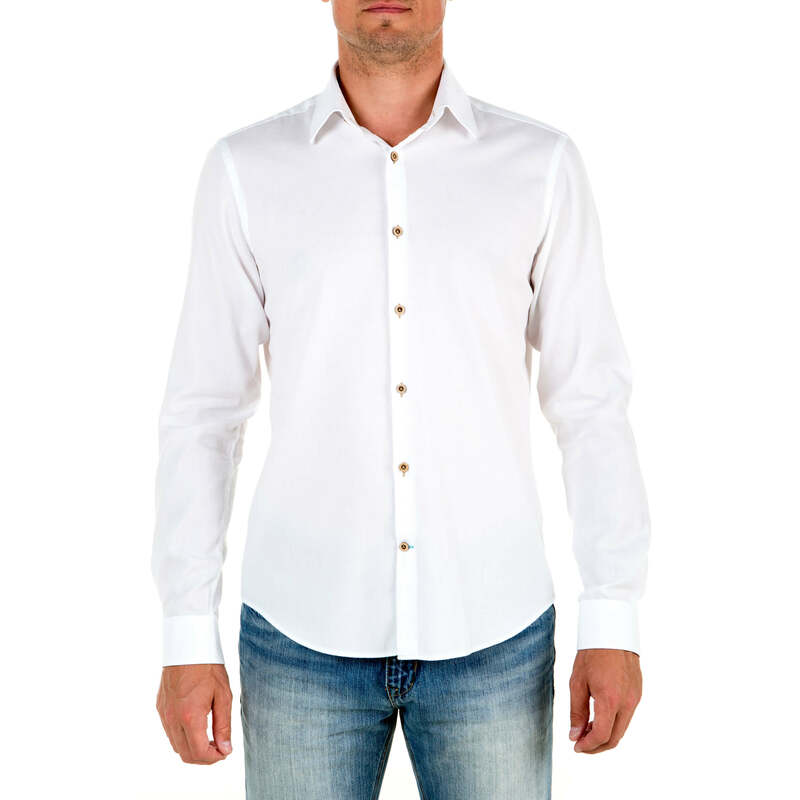 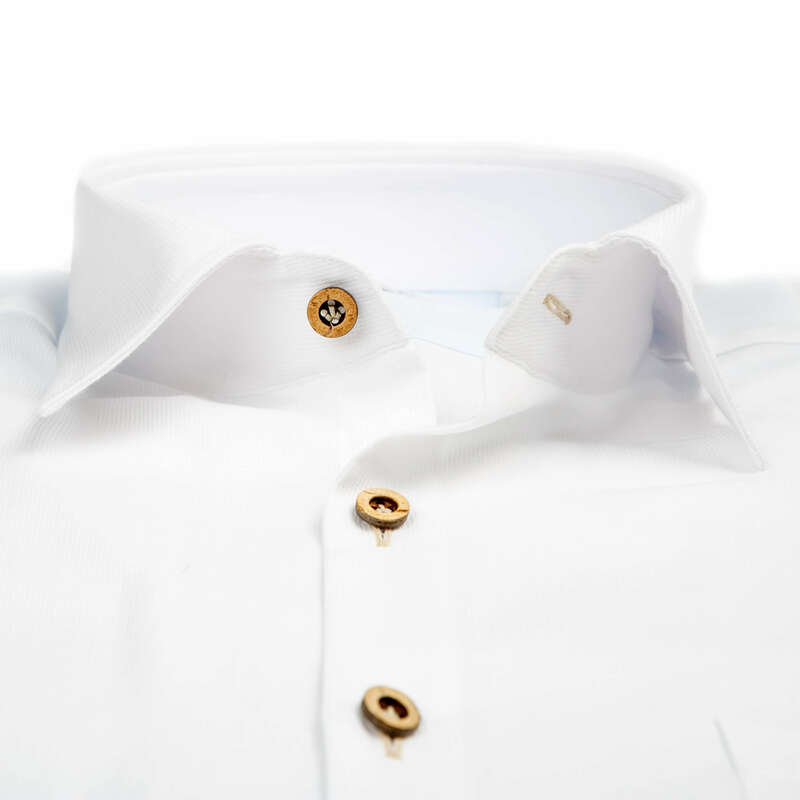 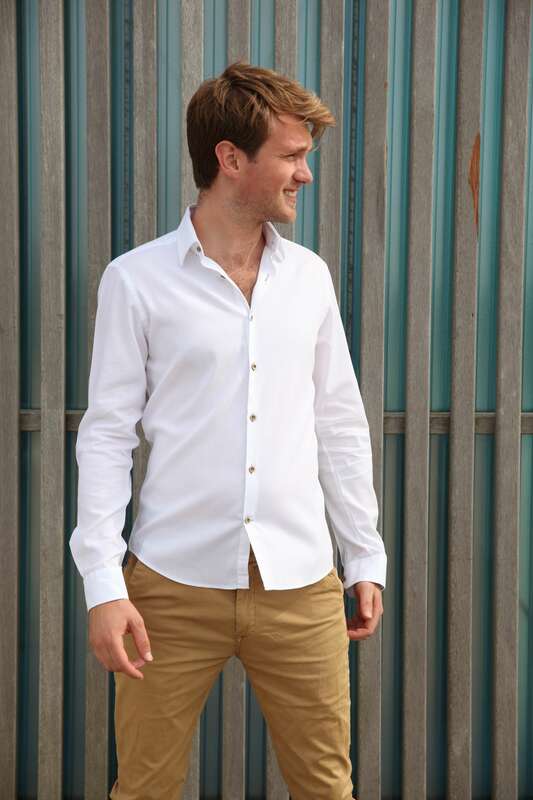 The brown color of the buttons and the button holes give the white shirt a nice fresh look. 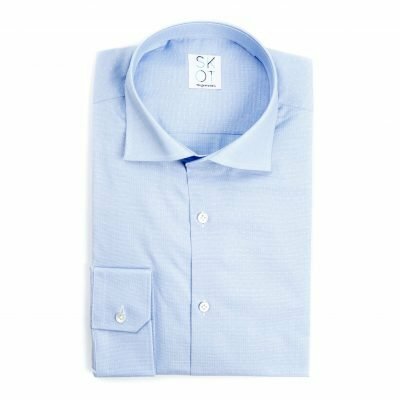 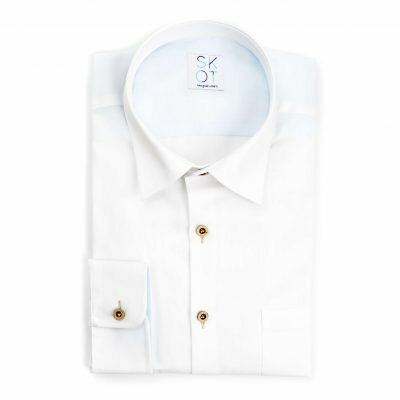 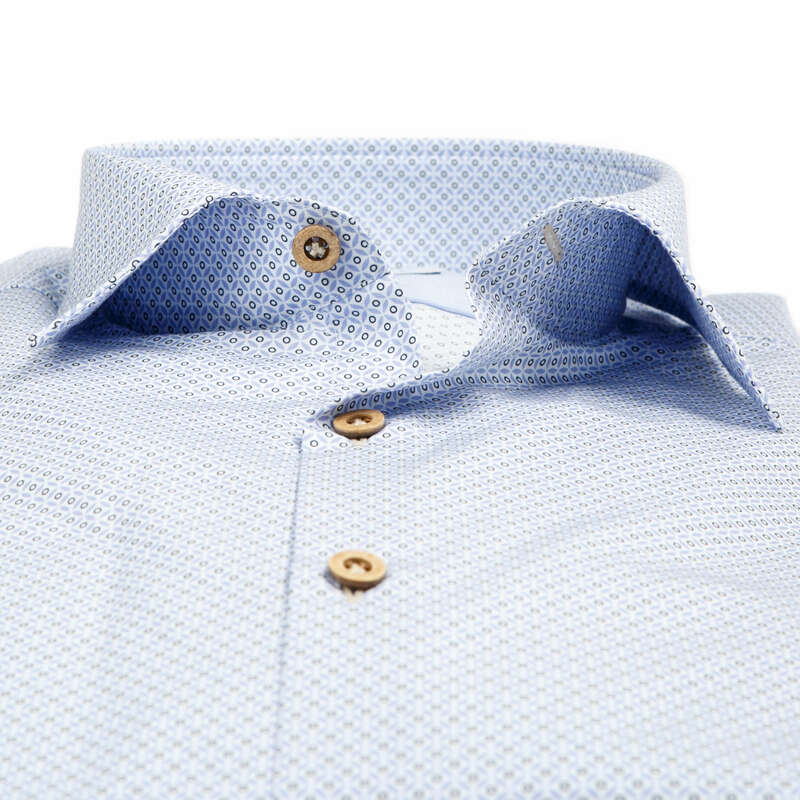 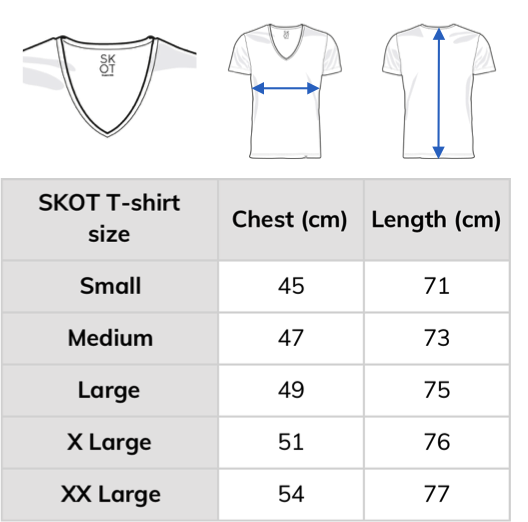 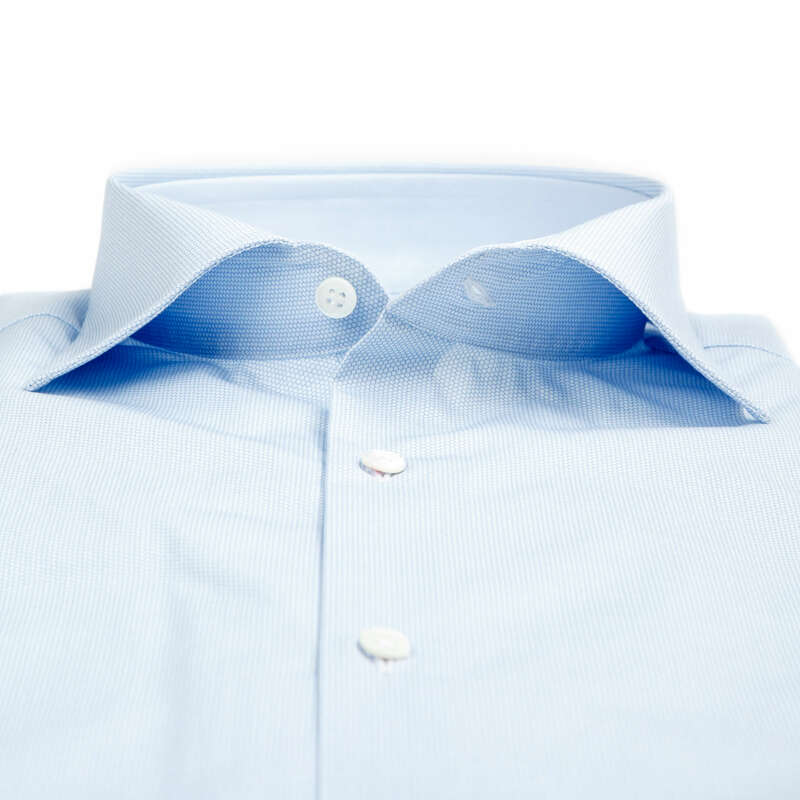 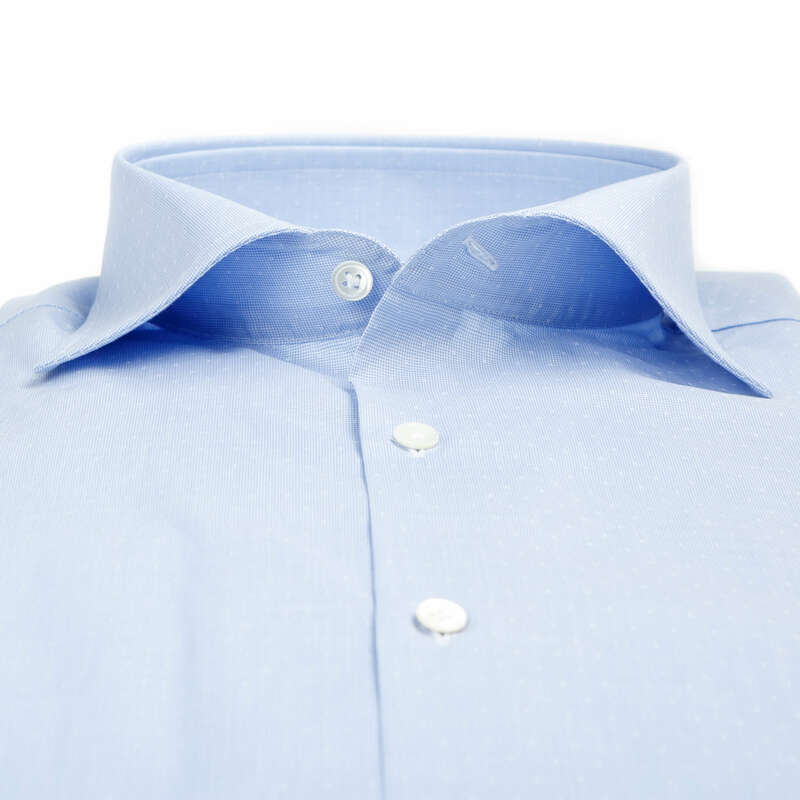 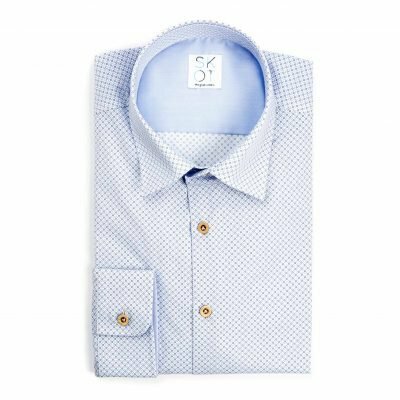 The shirt is Cord woven which makes the shirt very breathable. 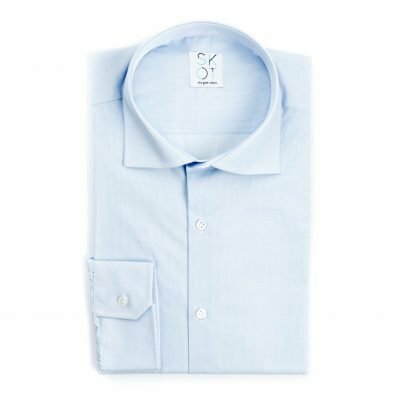 With a single cuff and a light blue contrast on the inside cuff.